Watch Parts Assorted Bulk 5 lbs. Assorted brass and steel parts, wheels, springs, stems, balance wheels, screws. Great for repairs, collages, jewelry making, crafts, etc. 5 lbs. 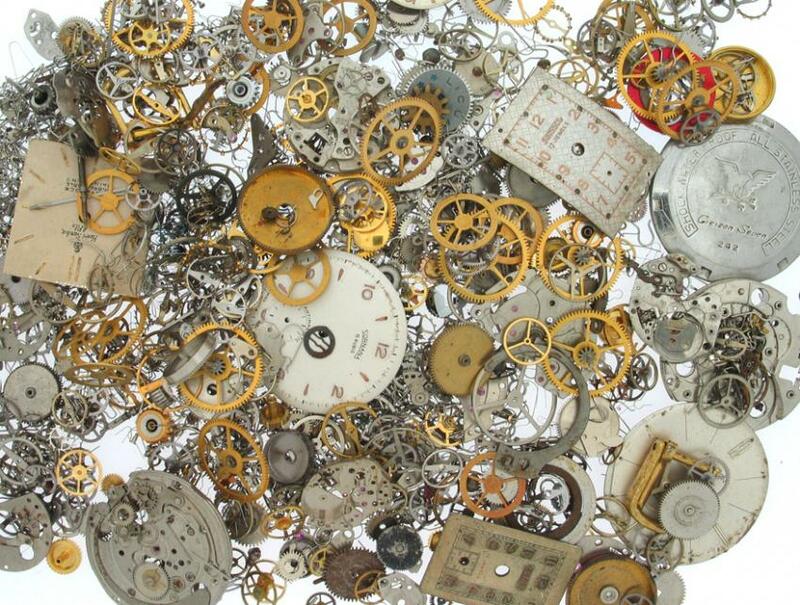 What creative items will you make with these beautiful and intricate watch parts? Share your photos with us on social media! @caskerco is on Facebook, Twitter, and Instagram. Cas-Ker Bulk Watch Parts are in stock and ready to ship to you! Most watch parts orders ship Monday through Friday within 24 hours of the time your order is received.